Castle Douglas farms were well and truly in the spotlight at AgriScot this year. 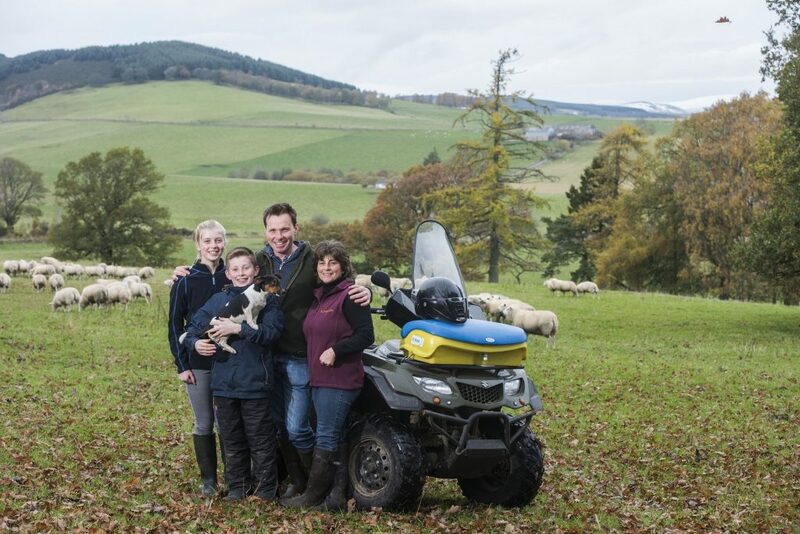 East Logan, farmed by the Yates family, was presented with a finalist certificate in the prestigious Scottish Dairy Farm of the Year award. The performance of the 365 acre farm, which supports 270 dairy cows, was assessed against every other dairy farm in Scotland and beat off what the judge described as ‘extremely stiff competition’ to reach the top 4. The family also won the AgriScot Champion Holstein Heifer with their home bred Logan Goldsun Belle 2. There was yet more AgriScot success for the farm, when the entry submitted by Michael Yates to the AgriScot silage competition came out top in the young farmers section. Michael’s prize winning sample, from silage cut on 18th May, topped the section with a dry matter of 30%, crude protein of 17.1% and overall digestibility value of 75.9. The top three samples in the Young Farmers section of the 2015 silage competition all came from Dumfries & Galloway farms. Kirsty Yates from Meilkle Firthhead, Dalbeattie produced the 2nd placed sample (26.9%DM, 15.8%CP, 75.8D) and Murray Wright of Risk Farm, Castle Douglas came in 3rd place with a silage of 25.1%DM, 12.8%CP and 74.6D. Prizes to the value of £4000 are donated to the AgriScot silage competition each year by sponsors, Watson Seeds. The Ramsay family from Lodge of Kelton, Castle Douglas, took home the prize in the hotly contested 1st cut pit class with a silage of 34.6% dry matter, 15.9% crude protein and a digestibility value of 75.9. The winning silage will be used to support the 140 milking cows on the farm and their average production of almost 10,400 litres of milk per lactation. Second place in the pit silage competition was awarded to Firth Farming Ltd, from Upper Locharwoods Farm, Ruthwell, Dumfries. 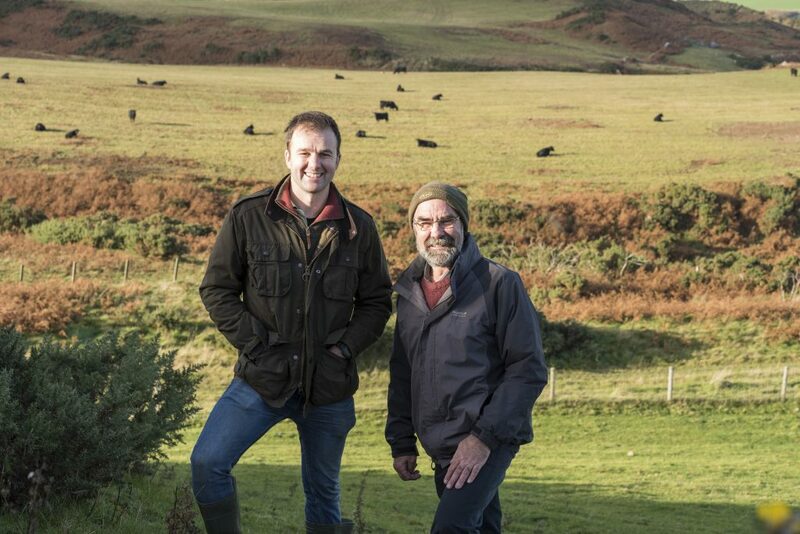 The farmers are John Jamieson and son Graham, organic dairy farmers. Their sample was cut on the 22nd May and analysing 35.3%DM, 17.6CP and 76D. Third place in this section was awarded to a 29.9%DM, 13.8%CP, 77D sample from M & R Hamilton of Barmoorhill, Tarbolton Ayrshire. Judge of the silage competition, Hugh McClymont, from Crichton Royal Farm, Dumfries, firstly assessed the silages based on their chemical analyses and then on fresh samples. 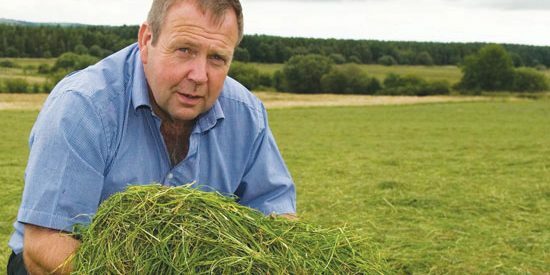 In the big bale silage section, John Watson (no relation to sponsors) submitted the winning sample from silage baled on his unit at High Mark, Leswalt, Stranraer on 1st September. This was the latest made of all the top placed silage samples across the competition classes and analysed as 46.7%DM, 15.7%CP and 69.1D. Greengate House Farm, Waterbeck, Lockerbie produced the 2nd placed baled silage for PJN & SM Morris, with analysis of 63.4%DM, 10.6%CP and 72.3D. 3rd place in this category came from a 43%DM, 14.4%CP, 76D crop baled on 5th June by John Kerr & Sons, Kirlkands, Carnwath.